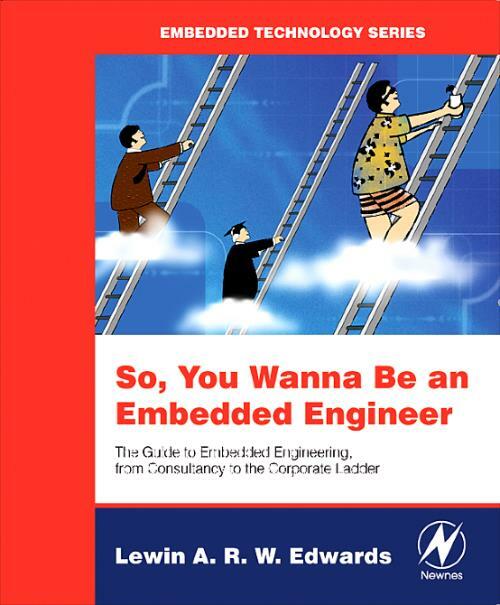 In this new, highly practical guide, expert embedded designer and manager Lewin Edwards answers the question, "How do I become an embedded engineer? Embedded professionals agree that there is a treacherous gap between graduating from school and becoming an effective engineer in the workplace, and that there are few resources available for newbies to turn to when in need of advice and direction. This book provides that much-needed guidance for engineers fresh out of school, and for the thousands of experienced engineers now migrating into the popular embedded arena. This book helps new embedded engineers to get ahead quickly by preparing them for the technical and professional challenges they will face. Detailed instructions on how to achieve successful designs using a broad spectrum of different microcontrollers and scripting languages are provided. The author shares insights from a lifetime of experience spent in-the-trenches, covering everything from small vs. large companies, and consultancy work vs. salaried positions, to which types of training will prove to be the most lucrative investments. This book provides an expert's authoritative answers to questions that pop up constantly on Usenet newsgroups and in break rooms all over the world. How Much Electronics Must I Learn? Lewin Edwards is an embedded engineer with over 15 years experience designing embedded systems hardware, firmware, and control software.